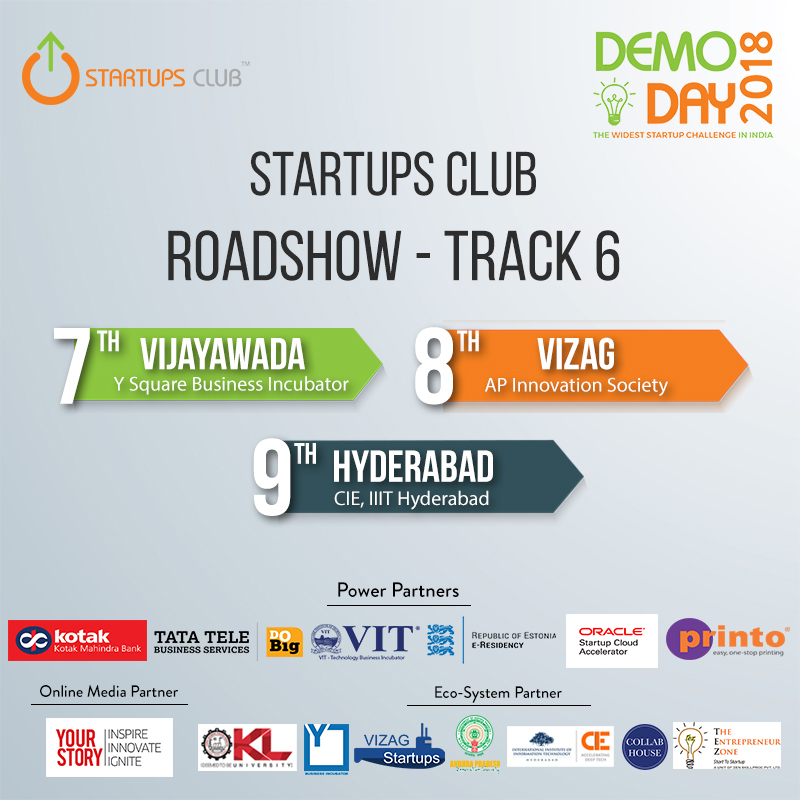 Every year, Startups Club Demo Day has taken greater steps forward, reaching thousands of entrepreneurs across the country and every year we aim at going further, wider and deeper into the roots of Tier 2 and Tier 3 cities in India as we hunt out the most innovative, most potential and most dynamic startups and founders across the eco-system. Demo Day, India's Widest Startup Challenge to benefit early-stage Startups, giving them the opportunity to pitch to Investors, network, raise money and find customers. StartupsClub is ready to take off for another Roadshow Journey.